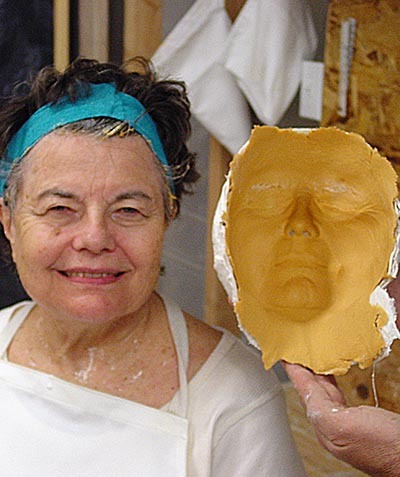 Sometimes called a Plaster Face Cast, this complete face casting kit makes it easy to learn this fascinating process. Everything you need is included in the kit- even an extra bag of alginate just in case the first attempt doesn't go well. When someone wants to learn torso or head casting, we ALWAYS recommend that they start by doing a face cast with the Face Casting Kit. We have found that jumping directly to the bigger, more complicated process produces a much higher percentage of failures than if the materials and process are learned on a more modest scale. This extra step, this extra time and money, ends up saving lots of time and money later on. Once you learn the process, you will be ready to move on to larger projects. You can also purchase your materials in bulk from our website and save yourself some money. 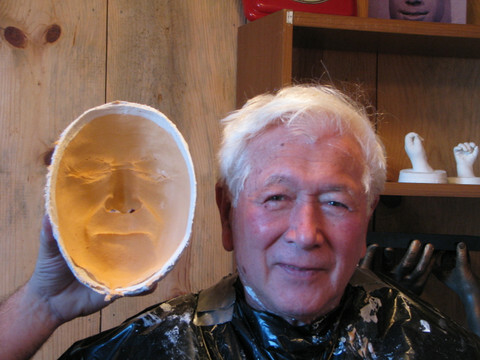 The Face Casting Kit is available with- or without- our Procedural DVD. We highly recommend it. After watching the DVD, most people feel like they've already done it once and the initial success rate is much higher. Five dollars well spent. The FaceGel (590) Alginate that comes with the face casting kit was specifically formulated for face casting. It has ideal non-slump properties, warm water mix, and a full 5 minutes of time between the start of mixing and the final set- not too little, not too much. Our FaceGel (590) alginate is extremely frugal. While our competitors recommend using ONE POUND of their alginate to do a face cast, we recommend 4 ounces (or one quarter pound). Our product goes 4 times as far. Check it out for yourself. Included in the face casting kit are the very same materials used by professional lifecasters. Recommended for adults and children over the age of about 8 years.